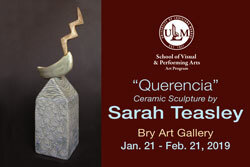 Followed by small gallery talk and reception in Bry Gallery. in conjunction with ULM Art Crawl. 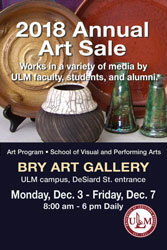 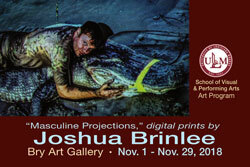 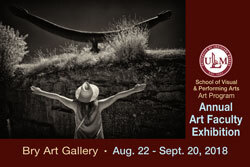 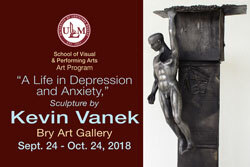 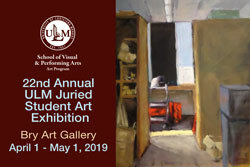 Works in a variety of media by ULM Faculty , students, and alumni. 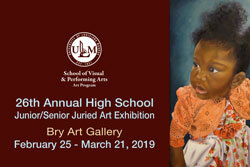 small reception to follow in Bry Gallery.